The ultimate layering piece.... It's lightweight, has a lovely drape and makes an impact. 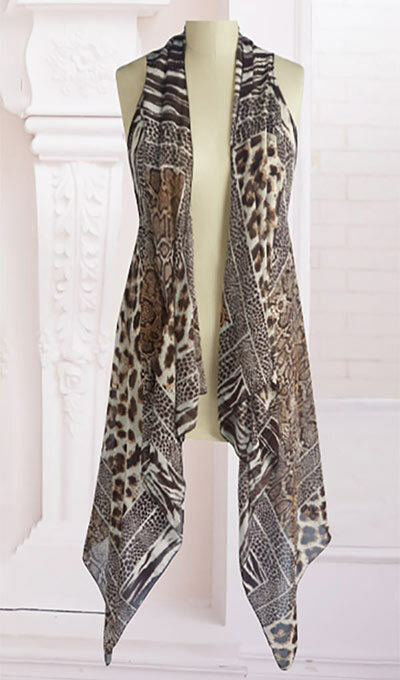 Elegant, sleeveless scarf vest of polyester chiffon in a mix of fashion-favorite animal prints. Gentle wash. Imported. Misses, approx. 49"l at longest point. One size fits most.